Fetes and Bikes and Jedis, Oh My! Well, a few days of work certainly drained my Fun Levels back down to functional, which was good news, 'cause I was excited about Wednesday At the Square! 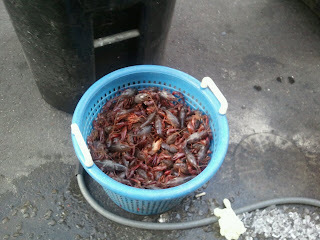 Kermit Ruffins was playing, it was a beautiful April afternoon, and I had a date with my man to check out the scene. First step: tickets. Second step: beer. Third step: food. Fourth step: repeat second step. The Abita taps were flowing once again, and Tom and I enjoyed our usual Jockamo IPAs. The President of a local brewery, who shall remain nameless, actually ordered a Jockamo by telling the beer server the name of his brewery's IPA. The beer dude didn't even blink, he knew what was what. Food acquired: brisket and creole rib tacos from the Rum House tent, pork tamales at Crescent City Pie & Sausage Co's tent (why don't they have those on their regular menu???) Also an oatmeal raisin cookie from Between the Bread. Music time! Listened to Kermit do his thing, and danced. I must say, my husband never danced before moving here. Now he does it happily and naturally. This city is magic! I mean, it has actual magical powers! We cut out a little bit early to head down the road to Lucy's Retired Surfers Bar for their Wednesday night crawfish boil. 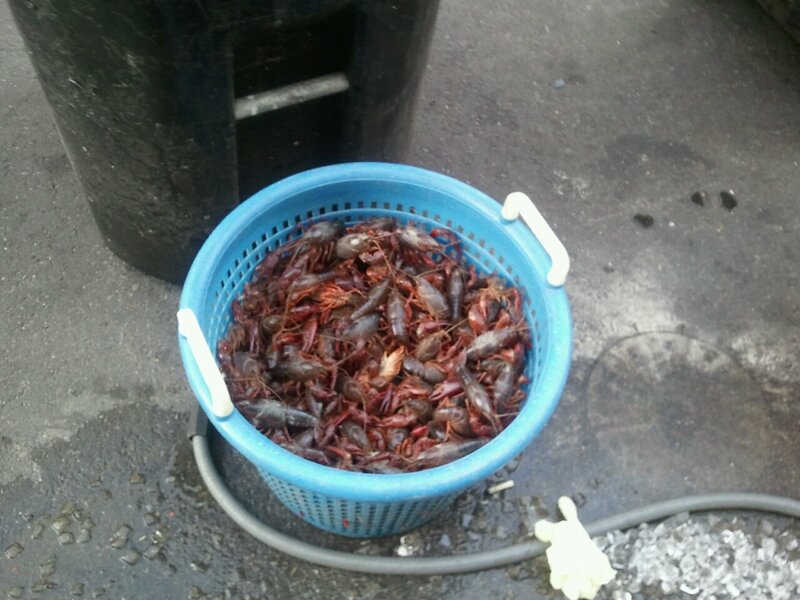 We saw several buckets of live ones, awaiting their fate. 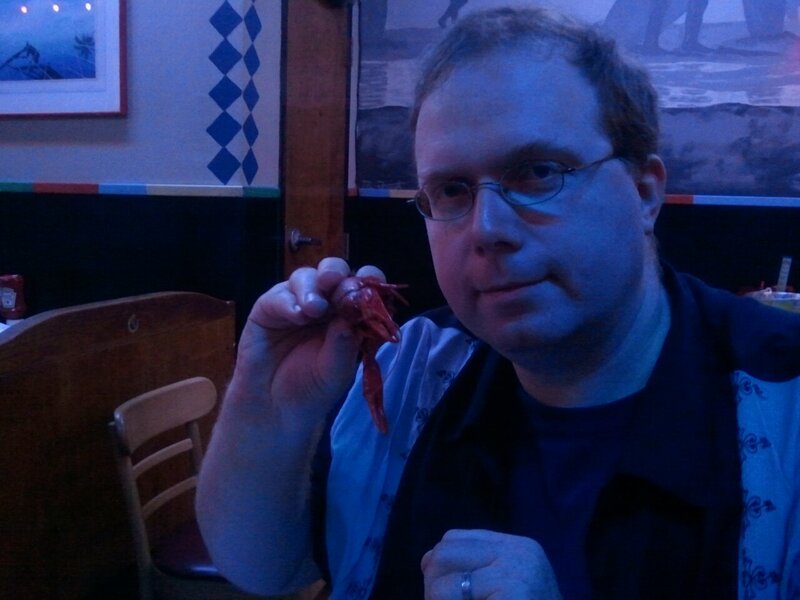 We got there early enough to get a table right away and then set about the very important task of figuring out how many pounds of crawfish we would eat between the two of us. We've never ordered by the pound. We asked the waitress, and she recommended 3 pounds. We now know that we should always order 5 pounds of crawfish between the two of us. It was a good night. Really, really good.